For any designer, the more time you put into detail of your product, the more satisfying you have when it is finished. For recent Hollywood, almost everything is created by CGI. So are those CGI works needed attention to detail more than tradition physical effect? The answer is yes, and it takes the same or even more time than traditional way to create a satisfactory CGI effect for those movies than you ever imagine. You already know that SolidWorks is famous for it ease of use. Because the sole purpose of SolidWorks is to help designers focus on their designing , not on the software. Why is this important? You see designing skills are mandatory, but it is possible to learn and apply it; but imagination is what make your design stands out, make it unique. Because of that, SolidWorks help you to focus solely on your imagination, not worrying about your skills of using the program. There are many amazing stories about SolidWorks been told during our SW World day, but here will be one of the best you ever heard. Look at this image, you probably think this awesome Batmobile is just a documentary images released by Hollywood. But no, it is the SolidWorks design files. Yes! these images was chosen and used in the blockbusters of Hollywood. You cannot imagine how hardworking and determined these designers has been to be able to finish such projects. 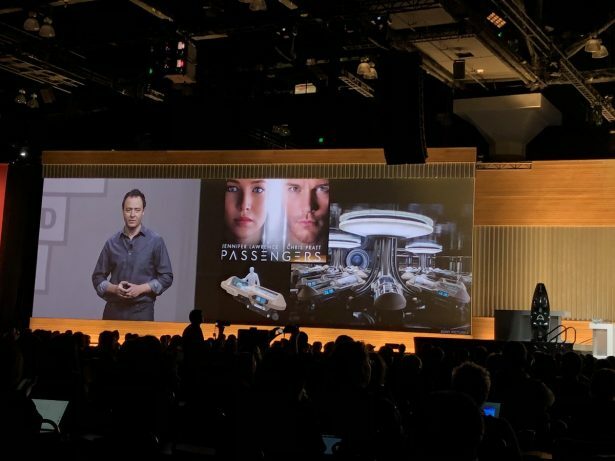 Not only this Batmobile, Did you know the spaceship in the movie Passengers, starring Chris Pratt and Jennifer Lawrence was also designed using SolidWorks? The one that surely make you “wow” the most is Transformers. 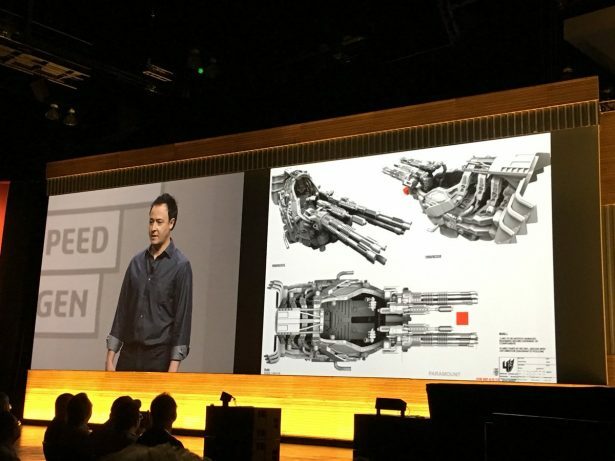 During this SW World day 2018, Joe Hiura and Robert Andrew Johnson, art directors and set designers from the film industry, spoke about how they used SolidWorks to design movie sets for films such as Oblivion, Passengers, Tron Legacy, and Batman V Superman. Robert shared with us that all the design are collaborative in nature, they all need to assemble the parts to finish, which required a fast and agile method so it can meet the deadlines. For them, SolidWorks is the best choice of software. On screen they even share how to bring out the best of SolidWorks to make your imagination come real and create magic on the screen. For Joe and Robert, what they like best about SolidWorks is the ability to manufacture and machine these massive Hollywood sets directly from their SW CAD file. Thanks to this function, the designers of the crew can work on the prototypes much faster than other CAD tools, and for that, they can get more time to pay attention to details. 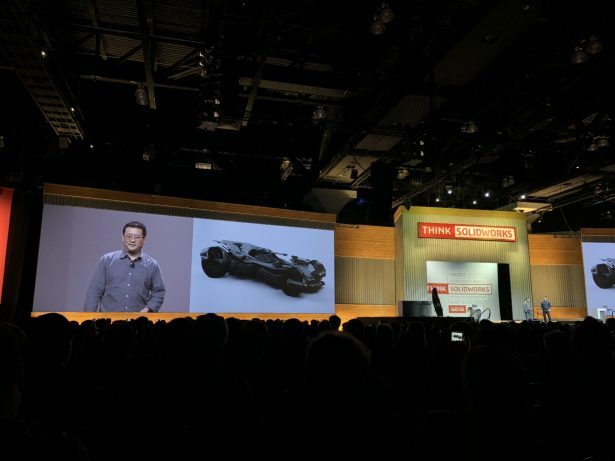 Recently, Joe shared that he been using SolidWorks Visualize to render realistic images and animations for his projects at Hollywood, rather than spending thousand dollars to create a physical prototype. Not only the software helps him save money, but also fasten the approval process from the art director and producer of the movie. Joe said he’s blown away by how fast he’s able to create this content and can’t wait to use Visualize to bring his designs to life for the next blockbuster movie. 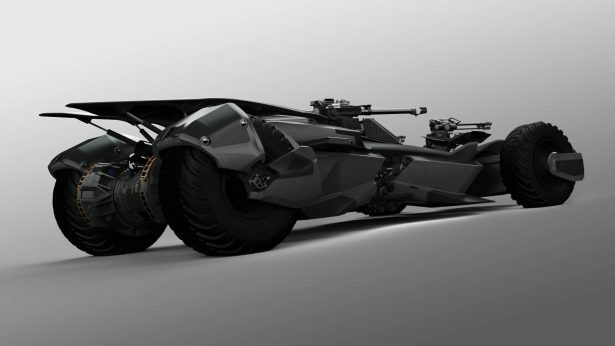 Here is one amazing fact, the below Batmobile design was Joe very first product using SolidWorks. Amazed by the software, he quickly choose it for his later film projects, and the rest is history.